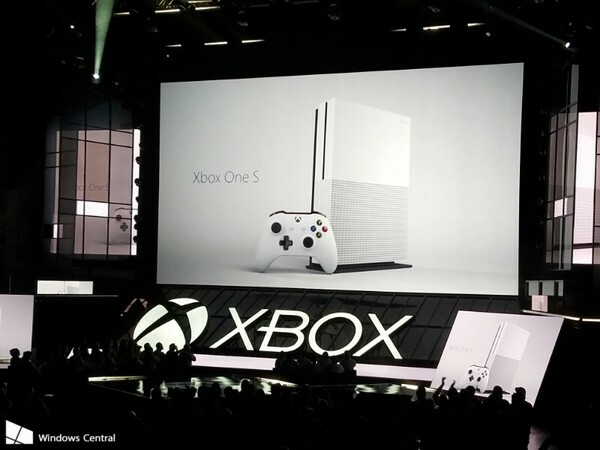 Confirmed by Microsoft, Xbox One S will release on August 2, 2016. Once it be launched, I believe it will be a new lover and owned by many game lovers. However, for many people who hold an Xbox One S, it is not just a game console but a DVD player. If you want to watch DVD movies on your Xbox One S, you first have to install the Blu-ray app according to the official website step by step. After the app is installed, you can watch DVD movies by inserting the disc into your Xbox One S and selecting Blu-ray player on the Home screen of your Xbox One S or finding it under Apps. However, each Xbox One S console is manufactured for a specific DVD region, following international standards. The Xbox One S console can play DVD discs that are sold in the same region as the console. Note: Game discs for the Xbox One S console are not coded to regions. Besides the region restrictions for Xbox One S, DVD discs will be scratched or damaged due to repeat use. So to prevent your previous DVD discs from damaging and play DVD movies on Xbox One S freely, you need to turn to an Xbox One S DVD converter to help you convert DVD to Xbox One S readable AVI, WMV videos. Here, you can use iFastime Video Converter Ultimate to make region-encoded DVD region-free for Xbox One S console. This converter can accept all region-locked and encrypted DVD and convert them to any other popular format like WMV, AVI, MP4 H.265, M3U8, MOV, etc with original video quality. Due to Xbox One S Media Player does not currently support the use of subtitles in movies, this tool will help you to hard burn the subtitles and audio tracks to the movies when you rip DVD movies to your Xbox One S. Only if you choose your desired subtitle streaming at the bottom of chapter list. What’s more, it can also rip any videos, including DVD, Blu-ray, MKV, FLV, H.265, H.264, etc. to Xbox One, Xbox 360, PS4, PS3, Wii, Wii U and so on. 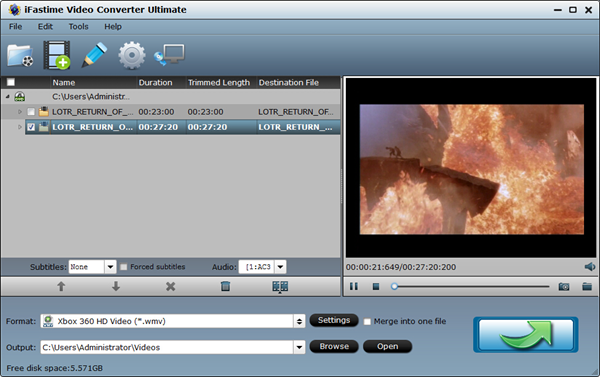 If you are a Mac user, iFastime Video Converter Ultimate for Mac will do the same thing. How to rip DVD discs to Xbox One S? After downloaded and installed DVD to Xbox One S converter, launch it. Click the "File" button and then choose "Load from disc" to load your DVD movies to the app. You can select one audio track and subtitles for output movies with subtitles under the chapter list. This software offers optimized preset for Xbox One S. Choose "Format" and pull down profile list to navigate to "Zune/Xbox 360 Device". Here, you can select "Xbox 360 HD Video(*.wmv)" format for Xbox One S. You can also adjust video/audio parameters by click "Setting" button as your need. Only to click the "green" button on the right-bottom. It will start to rip DVD movies to Xbox One S supported format. When the conversion is over, click the "open output folder" to open the movies directly. How to transfer the ripped DVD movies to Xbox One S? Using any one of the methods below, you can play DVD videos on Xbox One S freely without buying videos on Xbox Live. 2. Copy the media files to a USB flash drive and play it on Xbox One S.
If you need to know the Xbox One S’s supported video formats, please look here. Also you can choose other output format like MP4, M4V, MOV, etc in "Common Video" step 2, which are not only supported by Xbox One S, but also can be played on your other devices such as Galaxy Note 7, PS4, iPhone 7, iPhone 6S, etc.